Discover the Tablelands eclectic heritage and arts scene as you journey everywhere from galleries to gold trails. The historical towns and villages of the Tablelands open a window to the rich and colourful pioneering gold history of the region. From historic museums, churches and cemeteries to cottages that our Region’s settlers called home, you will come away from the Tablelands with a wealth of Australian knowledge. If it’s art that takes your fancy, seek and you shall find – there is art a-plenty waiting to be admired, from paintings hung in studios to sculptures and glassworks in progress in boutique galleries. Visit Goulburn, Australia’s first inland city, where you can discover the real Australia. 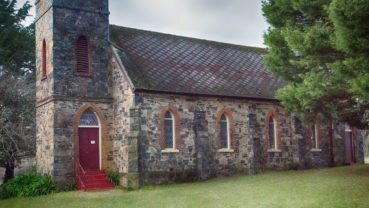 Take a bell tower tour at St Saviour’s Cathedral, or learn about our country’s industrial heritage at the Historic Waterworks or finish off the day admiring the area’s local and acclaimed artists featured at the Goulburn Art Regional Gallery. Wander along Queanbeyan’s heritage walk, stopping by Calthorpe’s Cottage or stand on the platform at the historic Railway Station. The heritage gem is the beautiful historic town of Braidwood, where the entire town is classified by the National Trust and is the first complete town to be listed on the NSW State Heritage Register. 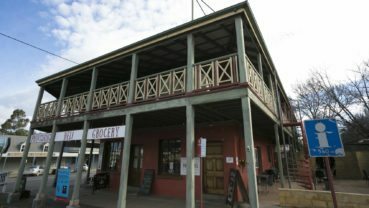 It boasts one of the last remaining places in Australia to retain it’s Georgian town plan. 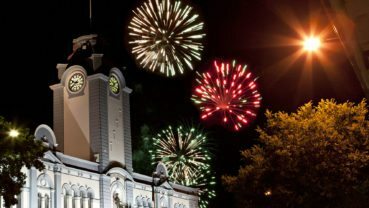 Spend a few days in the Crookwell Region to explore the stone architecture of Taralga, the gold mining history of Tuena, and the bush ranging pass of Collector – just to name a few of the Tableland’s historic villages. You’ll never be short of things to see and do in Yass Valley. History and heritage buffs will love the region’s connection to early rural Australia which you can experience at several museums, historical sites and antiques centres. With the Town Walk and Town Drive, there certainly is something to keep you busy and show you around town. Pick up a local picnic hamper and enjoy the fresh Tablelands produce at the grounds of 1860s Cooma Cottage, home of the first Australian-born explorer, Hamilton Hume. Yass Valley is also brimming with talented artists, sculptors, designers and creators just waiting to show off their wares at the many galleries, retail shops and design studios. Tootsie Fine Art and Design studio is the perfect place to be cultured in Yass, providing a unique exhibition space for exhibitions and sculpture garden for artists and art lovers. With an authentic restoration of the beautiful Art Deco Building from 1937. Peter Minson and Peter Crisp are two local glass blowers and art glass specialists, with open studios, visitors can watch glass being blown with artwork and glass for sale within the studio. The geological origins of the Hilltops Region are mysterious; millions of years ago the of the fertile soils arrived and have nourished humans for thousands of years. In the 1820s Europeans arrived in the district now known as Boorowa; areas further west in were settled in about 1830. Gold rushes brought a higher population, and from 1860 and towns and villages grew. The industries of the Hilltops Region have shaped the way the towns and villages function. Each year cultural events in the Hilltops Region see thousands flood to the towns, celebrating histories of the gold rush, the wool industry, and the waves of newcomers from across the globe, who brought their skills to develop our pastoral, mining, agricultural and horticultural industries. At the Willowtree Sculpture Gardens, nature is the superb backdrop in this sanctuary of creativity for sculptors to display their creative talent and artists to discover or expand their creativity. A meandering sculpture path invites visitors to experience the peacefulness and grandeur of the established trees. The Sculpture Garden is located in the Upper Lachlan Shire, and open to the public to enjoy an art and garden experience every 3rd Saturday of the month coinciding with the Laggan Markets or by appointment. The State Heritage-listed Crookwell Railway Station is another fantastic visitor experience, dedicated to preserving the stories around this historic railway service. The museum features a range of images and artefacts that depict the hardships of a country line high on the Great Dividing Range and give an insight into early public transport.